Congrats to both! Donna with be taking the EDE course on Tuesday, September 25, and Jennifer will be taking EDE 2 on Wednesday, September 26. 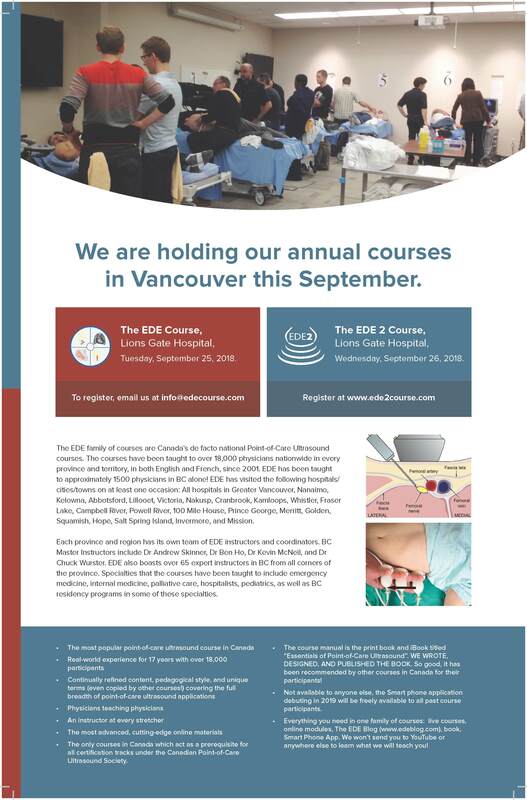 Both courses are taking place in Vancouver. We had a huge response to the contest! So we have gave away a bunch of runner-up prizes. Ten residents and ten students won a copy of the book (print or eBook, their choice). Another 10 residents and 10 students won free access to the EDE 1 and 2 online modules. FYI, the EDE 1 modules are being re-developed using the cutting-edge, super cool and interactive EDE 2 format. They will be packaged together and make their debut sometime in 2019.